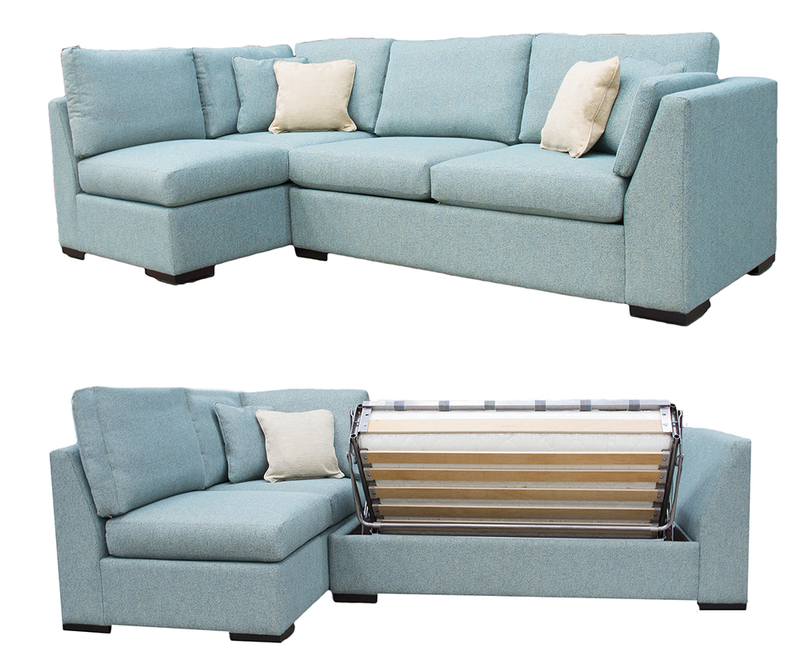 The Klaus Corner Sofa Bed is the newest model in our corner sofa range. 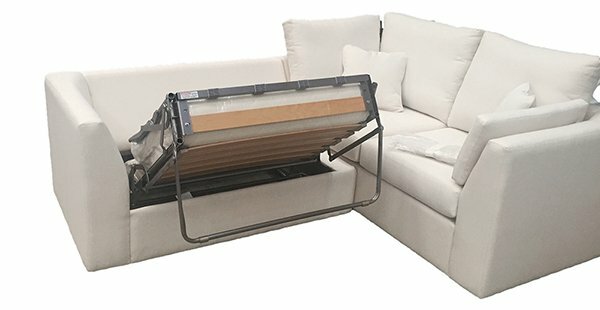 What is unique about this model is that it is a corner sofa and a sofa bed all rolled into one. Essentially the Klaus is a take on our Como Corner Sofa with the added feature of a Sofa Bed Action on one side (you can choose which!). This allows people to utilize space far better than before. 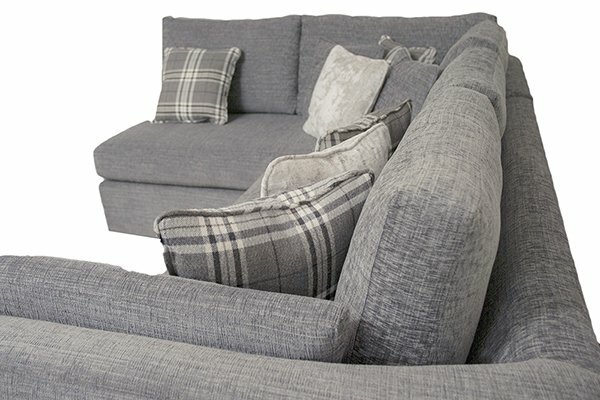 We can fit a 3ft (single) or a 4ft6″ (standard) sofa bed into the corner sofa. Please see the measurements & specifications sheet below to give you an idea of what kind of spaces it will fill. The dimensions of this model vary slightly from the Como but the look it achieves is the same. 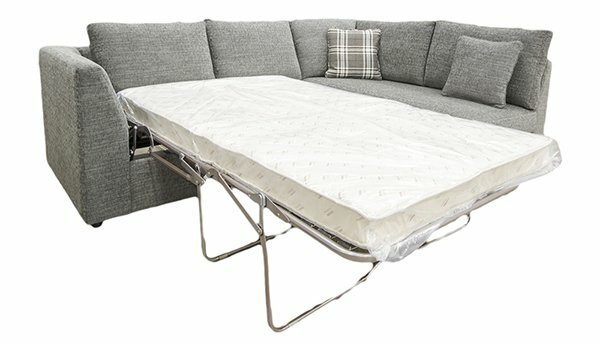 The Klaus Corner Sofa Bed will give our customers another option in those smaller houses or tight spaces and allows people to have another bed in any room, while still having a unique Finline look. For playrooms, for sitting rooms and every space in between, this is the ideal piece for modern living which gives great options to each customer. Our sofa beds are extremely durable and comfortable, they are a contract quality bed and we have used them in Hotels all over the world.